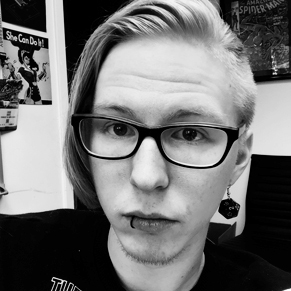 2018 got a lot better for me, once I was able to play Castlevania Requiem: Rondo of Blood and Symphony of the Night. Sure, it’s not the best collection it could be. It’s a budget priced bundle deal, with minimal features beyond the two games. A Mega Man Legacy Collection it is not. However, it’s a new way to play two of the most important games of Konami’s legendary library, and that’s important. Why is that important? Well, Castlevania is in a prime position to make a comeback, as the Netflix show has brought the brand to the greater public eye. Between the Halloween hype for the show and this release, perhaps both could lead to something new. These two games are the key to that door. Castlevania, arguably, has three pillars. One of them hardly exists, if you ask most fans, but it’s there regardless. That pillar, as unkempt and crumbling as it is, is made of the 3D action-adventures, from the oddball Castlevania 64 and Lament of Innocence to the more recent and disastrous Lords of Shadow series. But the other two pillars still stand tall, even with Konami’s last-gen waffling that ultimately led to a budding new IP in Bloodstained. These are the branching 2D paths, one pillar being the classic sidescrolling action best represented by Rondo of Blood, and the crown prince of “Metroidvania” itself leads the other, Symphony of the Night. These games are two sides of the same coin, intertwined together in the long and complicated Castlevania timeline. These are not separate universes, alternate takes on a similar idea, or spiritual successors. Symphony of the Night is a direct sequel to, despite being a stark departure from, Rondo of Blood. What these games are, both of them, are equally of dire importance to video game history, therefore their preservation is on a pedestal above the rest of the series, both to the fanbase and Konami as well. Rondo of Blood evolved from the Famicom originals, the chunky, meticulously designed, arcade-like experiences that so many know due to their extreme challenge and righteous soundtracks. These are the Belmont stories, the ones that are about a man (or woman, in one troubled case) who carries the family name with each crack of a blessed whip, the Vampire Killer. These games are about climbing stairs, tossing sub-weapons, fighting huge bosses and being knocked backwards into bottomless pits by floating Medusa heads. Rondo of Blood is the furthest that side of the series got, debuting on the TurboGrafx in Japan with the highest quality music, visuals and animation the series had ever seen. There was no way, it seemed, to take the Castlevania formula any further than Rondo of Blood. The Belmonts were exhausted, and “mess up and die” platforming was out of style. So the wheel was reinvented, but not by completely abandoning the past. We still saw Richter Belmont in Symphony of the Night, but he was quickly replaced by Alucard, who is also rooted in the series’ past. A secondary character in Castlevania 3 (which the Netflix series is based on), Alucard brought a new sense of style with Symphony of the Night. The influence of anime, booming in the mid-90s, began to seep in big time here, with Alucard’s androgynous appeal emanating from his enormous, detailed sprite that still blows people away to this day. His hair and cape flow when the player merely turns around, his supernatural powers leave an after-image, showing players how fast he truly moves in the fiction. RPG elements were also introduced here, along with a Metroid-inspired single location full of locked doors, boss fights and invisible secrets. 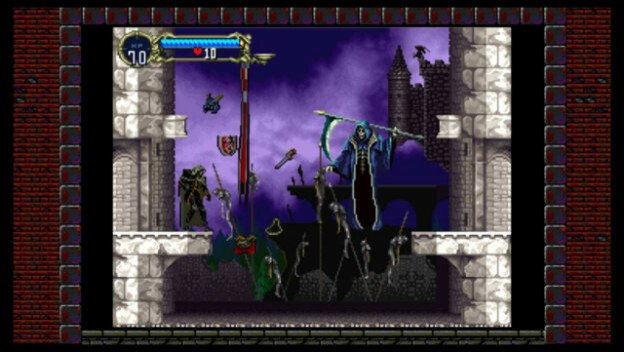 Castlevania continued down this path over the years, adding to the gameplay style introduced in Symphony of the Night, while continuing the mythology fueled so much by Rondo of Blood. The Belmont clan would continue in the background, but the complicated lineage and mythology of Dracula would make things more complex, and the promise of flashpoint events such as the long sought-after Battle of 1999 would become timeline hounds’ holy grails. But unfortunately, at a time in which 2D platformers became liabilities, Castlevania was forced to move on to new things. These new things would not work out, but not before Rondo of Blood and Symphony of the Night were paired together for the first time on the PSP. Now, here we are again. The two most renowned, and arguably most important, entries in the series are back under the spotlight. These are the games that, to fans and to Konami, are the top representation of what Castlevania means. Castlevania Requiem, in 2018, is the identity of the series. And now, the ball is in Konami’s court to make that mean something more. 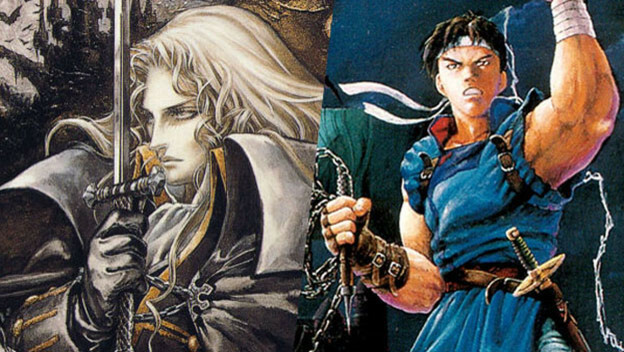 Could we see the Battle of 1999, or will there be something else that continues the timeline in a way that rolls back towards the era of Alucard and Richter? Koji Igarashi, the point man of Castlevania lore, may be long gone from Konami, but perhaps some fresh blood could do something with all that DNA. Or, perhaps, Konami is strictly in the business of re-releasing its classics. We’ll see how that goes, but for now, do not miss Castlevania Requiem, especially if you haven’t played these classics before.